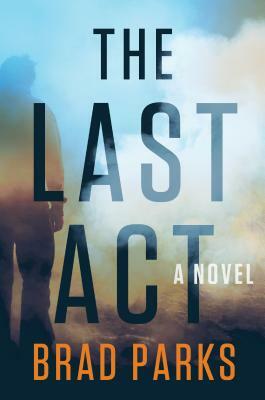 The Last Act: A Novel (Hardcover) | Fountain Bookstore, Inc. Award-winning author Brad Parks delivers a tense novel of thrills, twists, and deceit that grabs you and won’t let go until the final, satisfying page. Tommy Jump is an out-of-work stage actor approached by the FBI with the role of a lifetime: Go undercover at a federal prison, impersonate a convicted felon, and befriend a fellow inmate, a disgraced banker named Mitchell Dupree who knows the location of documents that can be used to bring down a ruthless drug cartel. . . if only he’d tell the FBI where they are. The women in Tommy’s life, his fiancée and mother, tell him he’s crazy to even consider taking the part. The cartel has quickly risen to become the largest supplier of crystal meth in America. And it hasn’t done it by playing nice. Still, Tommy’s acting career has stalled, and the FBI is offering a minimum of $150,000 for a six-month gig—whether he gets the documents or not. International bestselling author Brad Parks is the only writer to have won the Shamus, Nero, and Lefty Awards, three of crime fiction’s most prestigious prizes. A former reporter with The Washington Post and The Star-Ledger (Newark), he lives in Virginia with his wife and two children. “A perfect piece of entertainment." "With The Last Act, Parks conjures meth, murder, and musical theater into a remarkable turn of crime fiction magic." “This novel packs on the suspenseful surprises and plot reversals that made Parks a mainstay on the best-seller lists, but it's not just gritty and dark. With a lighter approach, Parks focuses on enduring characters and sharp wordplay, perfect for those who like their thrillers witty rather than bloody. Even if they aren't fans of Broadway musicals, readers will want to seek out this one."